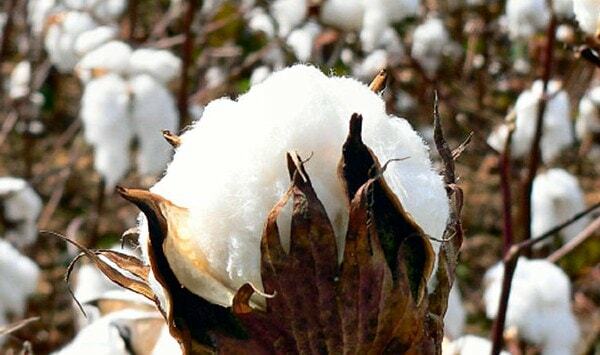 Among the seed and fruit fibres, cotton has grown in stature as the most important textile fiber in the world. In fact, cotton is the backbone and basic foundation of the world’s textile trade and industry. Cotton is a natural vegetable fibre produced in the cotton plant in many countries of the world even in Bangladesh also. Properties of cotton fiber can be divided into two parts, one is according to physical structure and another is using process. Physically the individual cotton fibres consist of a single long tubular cell. Its length is about 1200-1500 times than its breadth. Length of cotton fibre varies from 16mm to 52 mm depending upon the type of cotton. Longer the fibre, finer the fibre in case of cotton fibre. It is expressed in term of decitex and it varies from 1.1 to2.3 decitex. Fineness may be more in case of immature fibre. So it is necessary to express maturity with fineness. Cotton fibre is fairly among natural fibres in relation to tenacity which is 3-3.5g/dtex. Its tensile strength is between wool and silk fibre but disadvantage is low extension at break which is 5-7%. Cross-section of cotton fibre is some what ribbon like. The cell wall is rather thin and the lumen occupies about two-third of the entire breadth and shows up very prominent in polarized light. Fibre cross-section becomes round when mercerized. Cotton fibre is fairly short, fine and creamy white color. Color of the fibre depends on soil of growth. By adding chemicals in the soil, color of the cotton fibre may be varied. Cotton fibre is more or less twisted on its longitudinal axis which cab not be seen from out side is called convolution. The twist in the fibre does not to be continuous in one direction i.e. if at first right direction, then left direction. This property of cotton fibre helps in spinning. Cotton fiber has large amorphous portion and this is why the air can be in and out through cotton fiber. So, the fabric made by cotton fiber is quite comfortable to use. Cotton fiber is too much regular fiber and if properly ginned; this fibre can be the best soft hand feeling fibre amongst the others. Cotton fiber has high absorbency power and this is why this fiber can be died properly and without any harassment. If the printing is applied on cotton fiber, it seems it doesn’t spread the color outside the design. So printing efficiency is good on cotton fibre. It is seen that some fibers can’t be dried or washed due to it’s sensitivity and weak fastness properties but in case of Cotton fiber you will have large number of options to choose. You can easily wash the cotton made fabric by machines and even you will be able to dry this fiber by using electronic drier. If you want to seek an average strength which might be enough for you; then cotton fiber can be your ultimate choice. The strength of cotton fiber is quite good. The drape-ability of cotton fibre is awesome. You can use the cotton fibre made fabric in any kind of wear which needs more flexibility and drapes. The sewing efficiency on Cotton made fabric is easier and comfortable than other fiber. This is why the demand of cotton made fabric is higher in all over the world. Cotton fiber is a versatile fibre which has wide variety of uses. But the Cotton fibre is mostly used on the Apparel Industry to make the wearing cloth like Sweaters, Skirts, Shirts, Swimwear, Kids wear, Blouses, Pants, Hosiery and to make other type of dresses.